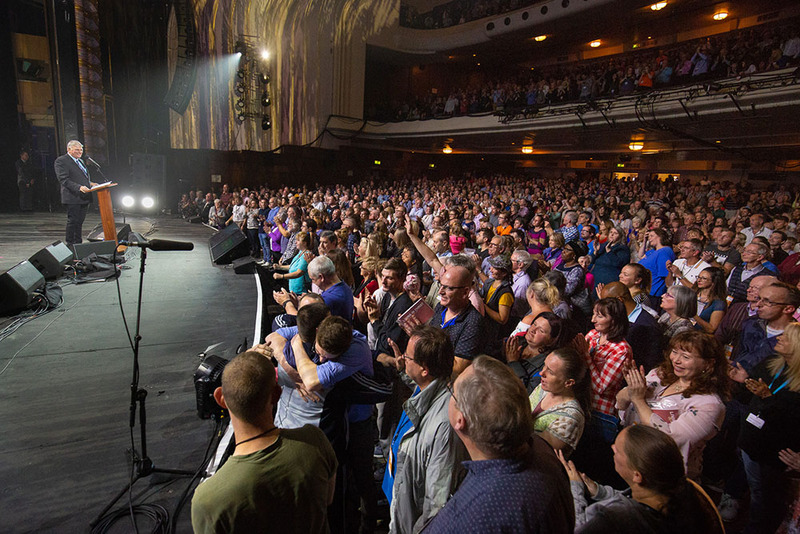 Franklin Graham, after months of opposition in Blackpool, England, greets new believers on Sunday. "It's not Franklin Graham that's the cause of the dissent," said Steve Haskett, Festival executive co-chair. "It's the Gospel. The Gospel has always been controversial." In the top row of the second balcony at the Opera House in Blackpool, England, Hannah Jowle paused to take everything in. The 21-year-old was wide-eyed and shocked at what she had experienced in her hometown over the three-day Lancashire Festival of Hope. A total of 9,000 people had packed into the Winter Gardens complex over three nights with hundreds making life-changing decisions for Christ. Jowle heard about the bus ads yanked around town. She caught wind of the planned protests, which consisted of a few dozen people per night, dropping to single digits the final day. She wasn’t fazed. After all, she said, he’s offering anyone who will listen the best gift around—the Good News of Jesus Christ. Love wrapped in truth. Is this the beginning of something big in Blackpool? Many who attended this weekend’s Lancashire Festival of Hope have a renewed outlook on the region. A longtime married couple from nearby Preston couldn’t agree more. Neil Towers and his wife, Gill, who served together as prayer volunteers all three nights, have seen a lot of changes in their country over the years. They find Franklin Graham’s style remarkably refreshing in a world of shifting truth. Conversely, the Festival has had the exact opposite effect on the 200 churches and 1,300-plus individuals involved. 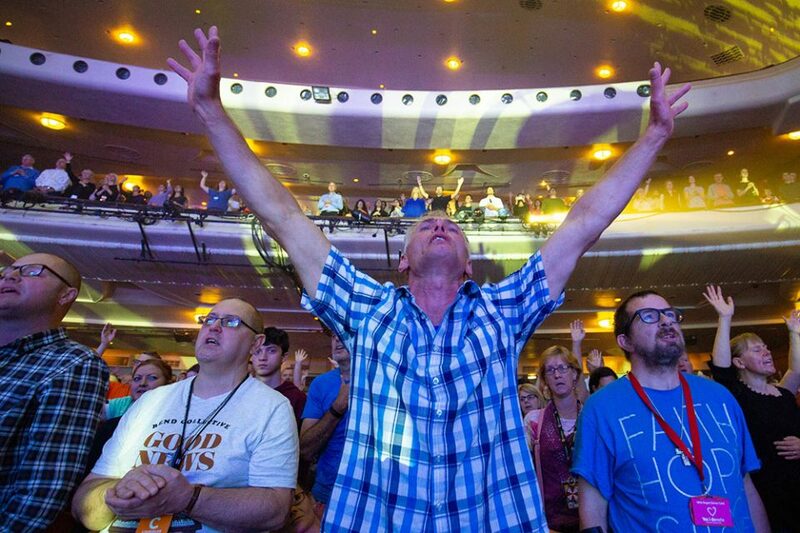 With every news report or social media campaign aimed at derailing the Festival or de-legitimizing Franklin Graham, the church countered with another prayer rally and renewed commitment to unite. “God loves you” may have been the one thing Franklin Graham wanted people to remember, driving home this all-important fact each night. But “prayer works” may be the lesson that revives the Lancashire churches. And all the controversy surrounding the event? Just like the story of Bartimaeus (found in Mark 10), about a blind man who had basically lost all hope, resorting to begging for his next meal. “He’s just sitting there, hoping someone would drop in a coin or two,” Franklin said. “He doesn’t know Monday from Tuesday from Wednesday. Bartimaeus is hopeless. So when Bartimaeus heard the commotion of Jesus making His way through the city, he called His name. Jesus stopped and gave him vision. 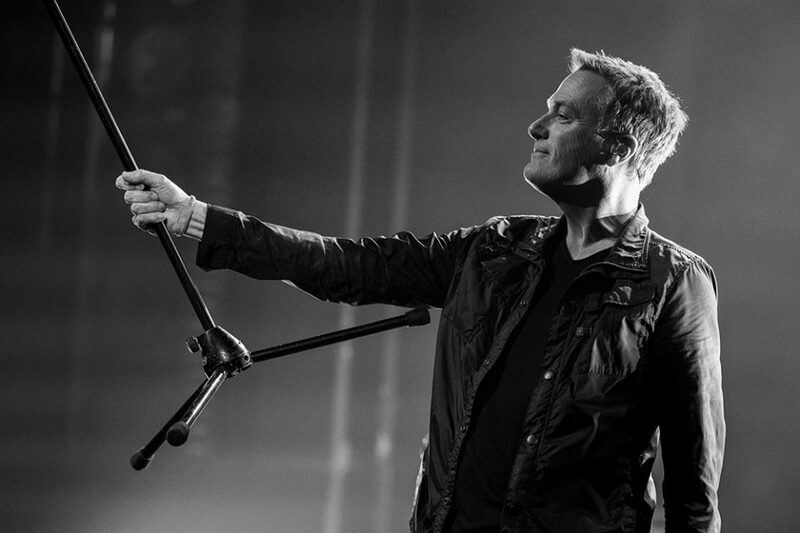 Michael W. Smith finishes off an incredible weekend with a powerful 60-minute worship session.